One of the most complex subjects and words is Love and in 1 Corinthians 13 Paul tells us Love is the Most important thing. This whole chapter deserves to be read for this particular lesson on transformation we will be focusing on the core of this chapter on what is love and what love is not. I suggest making a list to get a better understanding. 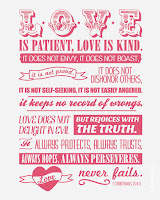 “Love suffers long and is kind; love does not envy; love does not parade itself, is not puffed up; does not behave rudely, does not seek its own, is not provoked, thinks no evil; does not rejoice in iniquity, but rejoices in the truth; bears all things, believes all things, hopes all things, endures all things.” Now you can make a list of each word and it's definition and study to come up with a personal practical application. 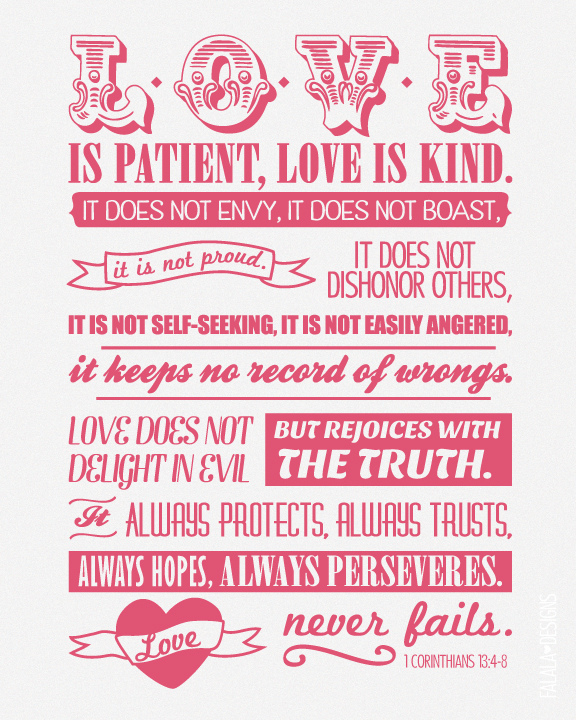 For me this verse makes me think love is perfect and usually it's always the opposite of what im thinking at the time to do with love and it challenges me to be more.“Love is patient and kind. Love is not jealous or boastful or proud or rude. It does not demand its own way. It is not irritable, and it keeps no record of being wronged. It does not rejoice about injustice but rejoices whenever the truth wins out. 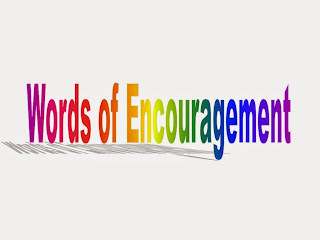 Love never gives up, never loses faith, is always hopeful, and endures through every circumstance.” vs 4-7 NLT (sub notes say: This description of Christian love emphasizes the willingness to give up one's own desires for the good of others. See also chs 8-10, Rom. 5:6-8, 15:3, 2 Cor. 8:9, Phil. 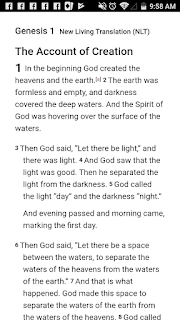 2:4-8) This is how you go beyond the current verses and get a more in depth understanding from the Word with a study bible. Now let's look at two more translations and see what other words they use on what love is and is not.